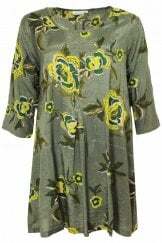 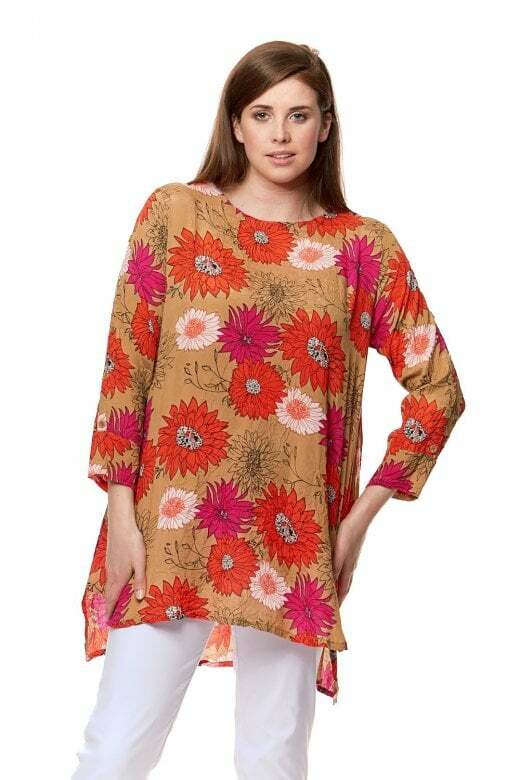 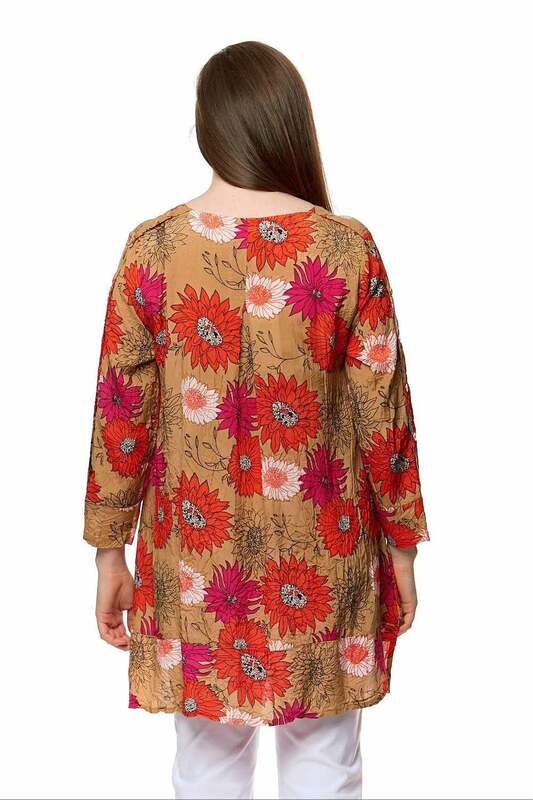 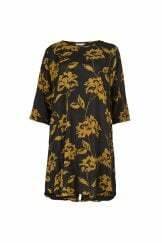 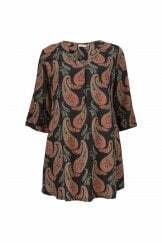 Floral print Gila Tunic from Masai. 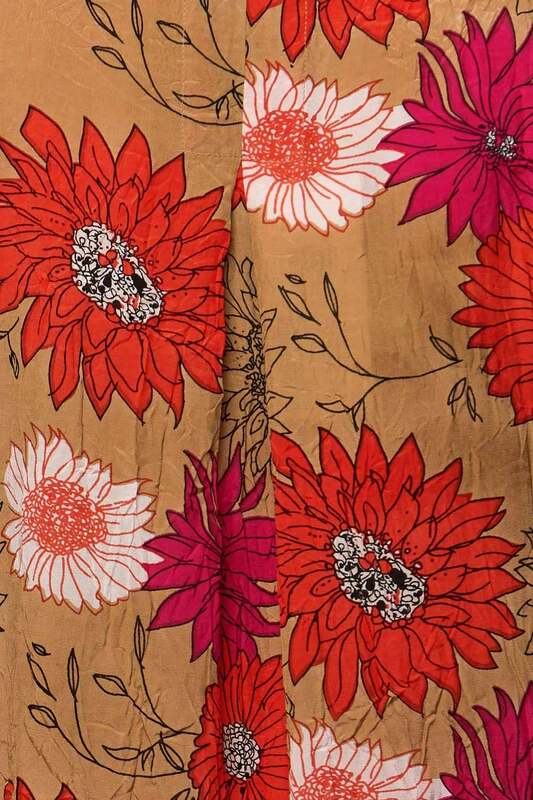 Orange and pink floral print on stone background. 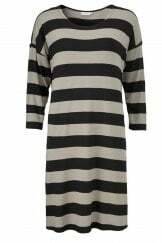 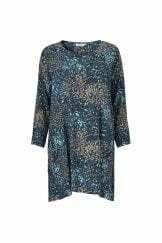 Features button detail down the length of the sleeve and dipped hem design at the back. 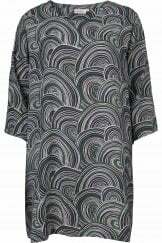 Looks fab teamed with our Robell trousers.